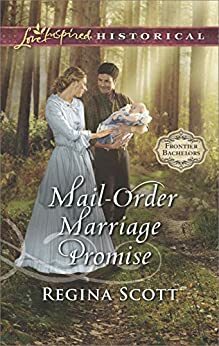 Mail-Order Marriage Promise (Frontier Bachelors Book 6) - Kindle edition by Regina Scott. Religion & Spirituality Kindle eBooks @ Amazon.com. Regina Scott started writing novels in the third grade. Thankfully for literature as we know it, she didn’t actually sell her first novel until she had learned a bit more about writing. Since her first book was published in 1998, her stories have traveled the globe, with translations in many languages including Dutch, German, Italian, and Portuguese. She and her husband of over 25 years reside in southeast Washington State. A lively story with many interesting characters. Well crafted story with a feel good end. I like story lines that cross multiple books. I love the story and the characters. Regina Scott is always a pleasure to read! 5.0 out of 5 starsBook 6 is as good as the previous ones. If not better. Set in the year 1874. Dorothy “Dottie” Tyrrell leaves Cincinnati when she learns that the man she wed, Frank Reynolds, already had a wife. To keep Frank from learning about their new born son, Peter, Dottie answers an ad for a wife and moves to Seattle, Washington Territory. Yet upon meeting John Wallin, the man claims he never placed the ad. John is stunned to find out that his sister, Beth, ordered him a mail-order bride. He is positive the lovely widow will make someone a wonderful wife, but not him. He invites Dottie and Peter to stay with his family until she can find her own way. So why does he feel protective and jealous when Dottie begins receiving male suitors? And why is the lady so cautious and wary? It is as if she believes men are all tricksters. Has a man hurt her before? ***** FIVE STARS! This story was so good that I could not put it down. I read the entire novel in one sitting. The characters are all well developed. The writing style is smooth. Best of all, everything stays true to the time period. 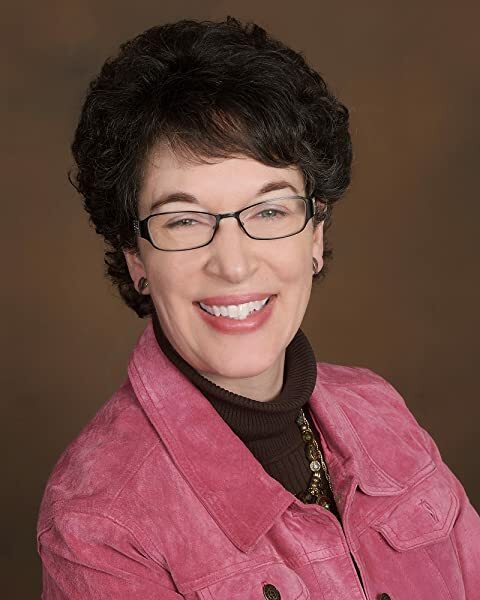 Readers understand WHY Dottie is distrustful, yet she has managed to remain a good person and does all she possibly can to secure a good life for her infant son. I was actually proud of Dottie’s character. As for John’s character, he is just as selfless. He is a logger who enjoys reading and a certain cat, but (unlike his brothers) he does not consider himself to be a hero and that is what Dottie needs. He believes that Dottie deserves better and genuinely wants to help her. This book revisits the Wallin family yet again—a group I never tire of hearing more about even as the clan grows larger. This book allows John to take center stage and be the hero, a role he cannot see himself filling, even as he acknowledges that Dottie needs one. But with skill, Scott gives us his reasons, written in bits and pieces within the story itself, never insulting the reader's intelligence by stating it outright but giving us plenty of information to draw our own conclusions. More than any other story in the Frontier Bachelors series, this one made me smile. I chuckled at Peter's antics and adoration of John; John's interactions with the logging crew who also pursue Dottie made me laugh out loud as he allows Peter to scare off the competitors and show his own skills with children off to advantage. Seeing him so comfortable with a baby in his arms no doubt melted Dottie's heart right along with mine as it reminds me of my husband with our kids. This is historical fiction that will be enjoyed most by those who like mail-order bride novels, frontier stories, or those with an interest in Seattle's history. I would also recommend it for those who like historical fiction in general, as there are plenty of details about the time and place as well as an engaging story with likable characters. I received a free copy of this book from the author, but no compensation for this review. I was not required to post a positive one, and the thoughts expressed are both honest and my own. What a delightful, refreshingly genuine, and endearing story! Last night I was just going to start the book and finish it today, but I was so engaged in the twists of the plot and the destinies of the characters I could not put it down until I reached the very satisfying ending of the tale. The story is well balanced and the plot is built cleverly. It has the perfect portion of drama and trouble, joy and sweetness, faith in God and growth as a character. All the elements are well embedded into the romance, suspense, and the everyday life at the frontier, engaging the mind of the reader, and welcoming to join the scenes. John Wallin is such a good, lovable man. He is humble, kind, helpful, generous, protective, great with kids, adults, and pets. His doubts of his own worth and input to the society showed his unpretentious nature and made me love and appreciate him even more. He is both alpha and beta, and the perfect mate to Dottie Tyrrell. I loved his relationship with the Lord. John's faith is a natural part of him, and his conversations in prayer with God are artless and sincere. Dottie's life is currently driven by the motivation to keep her son safe, and herself away from her baby's father. The fear, shame, worrying and suppressing her life, emotions, and future goals and needs are all temporary. Underneath it all is a kindhearted, capable, and lonely woman, wishing for a connection and circle of friends, even family, to belong to. The connection between John and Dottie is adorable and tangible. The danger intensifying around them increase the depth of the emotions growing between them, yet the feelings are true and real and hold the test of the drama and trouble surrounding Dottie's past. A charming, genuine, earnest tale that captivated my mind and won over my heart.